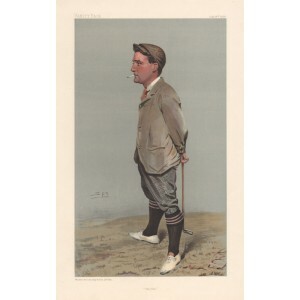 Vanity Fair portrait of Samuel Mure Fergusson. 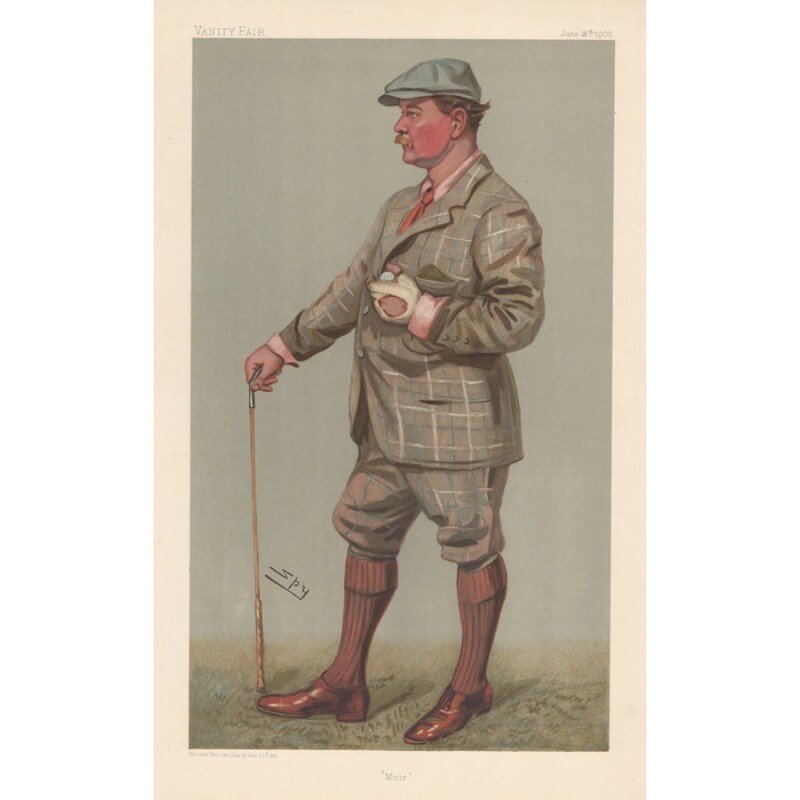 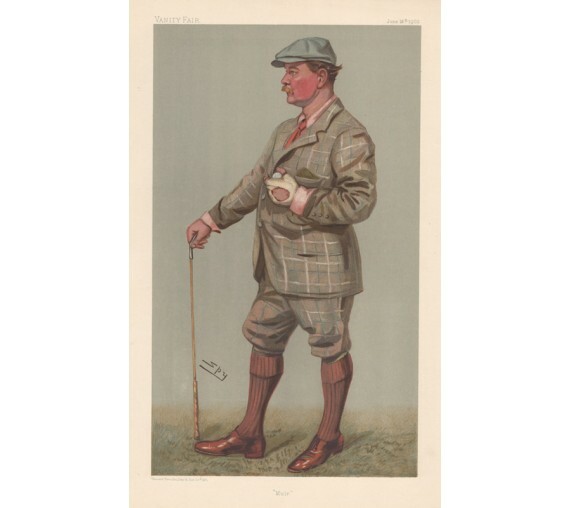 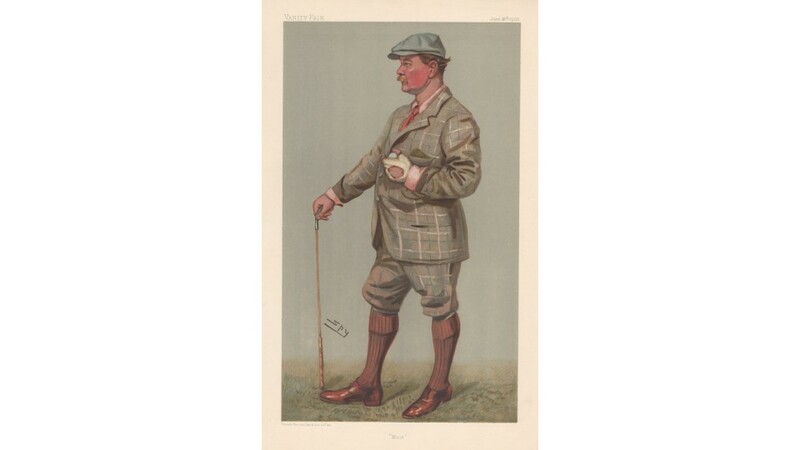 Samuel Mure Fergusson (1855-1928) was a successful stockbroker and highly rated golfer and golf-course architect. 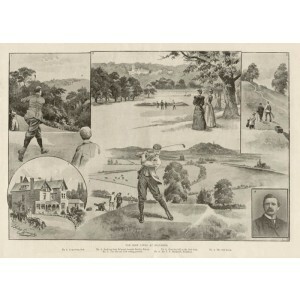 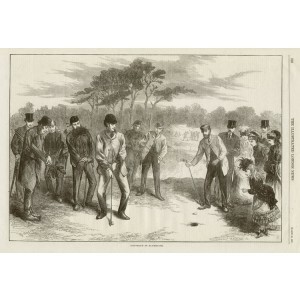 In 1895 he designed the course of the exclusive New Zealand Golf Club (which, despite its name, is in Surrey) and in 1904 a course at Windsor for king Edward VII. 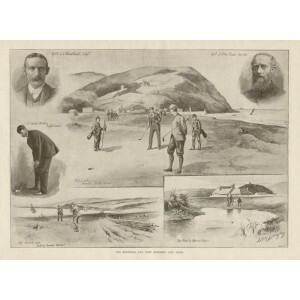 He was secretary of the New Zealand club from its foundation, and in 1910 he became secretary of the "Royal and Ancient: club at St Andrews, the pinnacle of British golf.